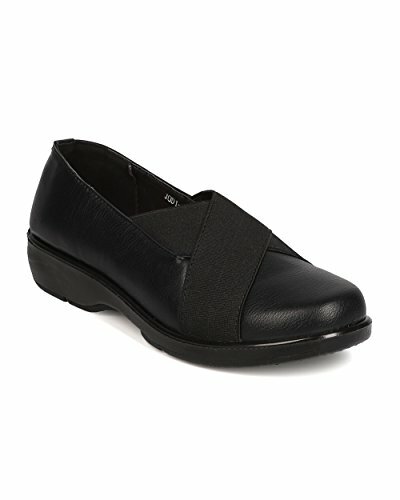 This working shoe is designed with leatherette upper, round toe, and elastic features at vamp. The padded insole and thick outsole are added for comfort. Measurement (tested sz 6; approx. ): Heel: 1.25", RUNS LARGE, please consider ordering a full size smaller, Brand new with original or Alrisco shoe box.